India bowled out South African at 286/10 in their first innings of the first Test in Cape Town. 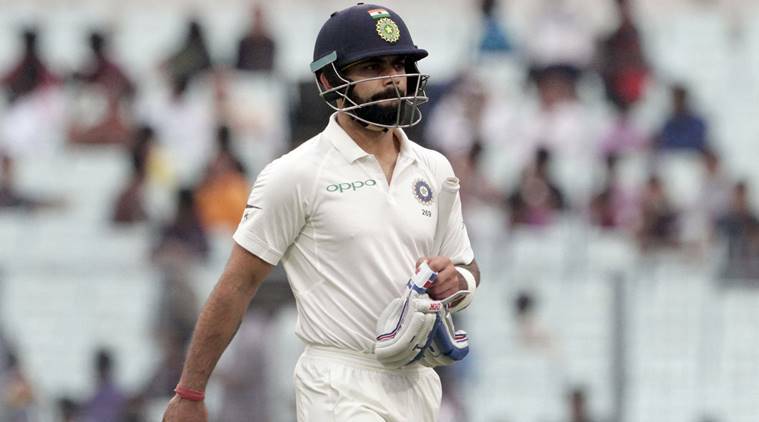 The Freedom Series kicked off with its first Test at Newlands, Cape Town, on Friday (5 January) and India skipper Virat Kohli would definitely like to bring the coveted trophy to the country, as the tourists have never won a Test series in South Africa. 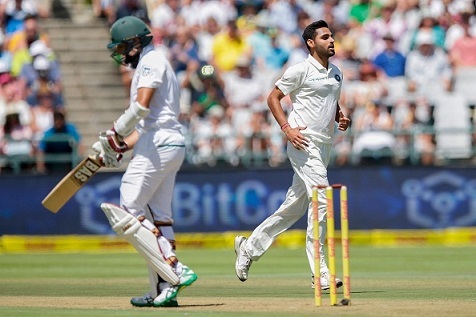 The hosts won the toss and went into bat first in the greenly Newlands wicket, but that decision proved wrong, as the star Indian medium-pacer Bhuvneshwar Kumar took charge and brilliantly sent out Proteas top order to the pavilion with single-handily. The 27-year-old made his victim Dean Elgar, Aiden Markram, and Hashim Amla, reducing the hosts to a measly 12/3. It was a great start for the Indian side, as they limit the South African at 286/10 in their first innings of the first Test of the three-match series before going to bat in Cape Town. It is Known South Africa has been proud of their fantastic bowling attack, and they also did a brilliant job on Day 1 of the first Test, as they grabbed India’s top three wickets and limits them at 28/3 at the stump. As current Indian pace attack grabbed many eyeballs with the superb show, and former Indian skipper Mohammed Azharuddin, who led the side in their first ever Test in South Africa in 1992-93, is also highly impressed with it, saying both teams’ pacers are at the same coin that will make it a very exciting series.